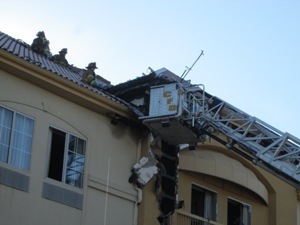 At 8:22 a.m., C FD was alerted to La Quinta Inn & Suites for an automatic fire alarm. 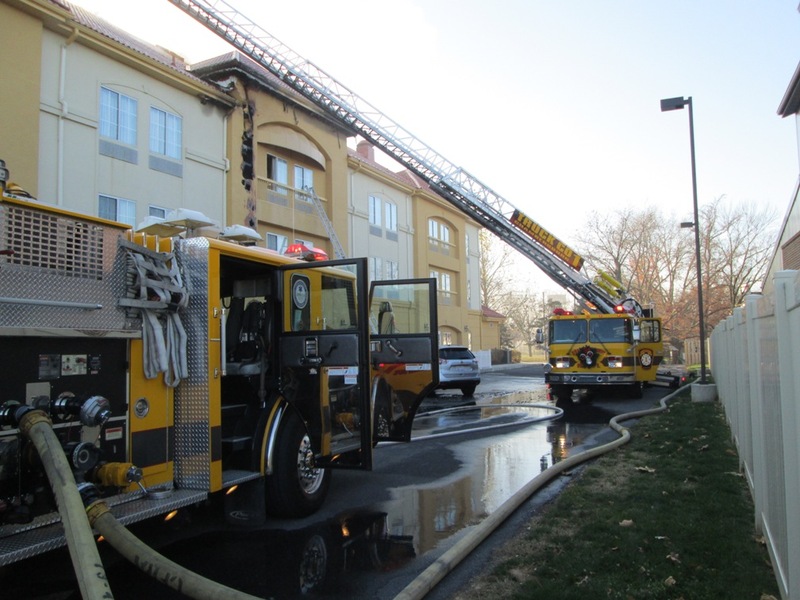 First arriving units found an outside mulch fire that had extended into the building, and the first alarm building fire assignment was requested. 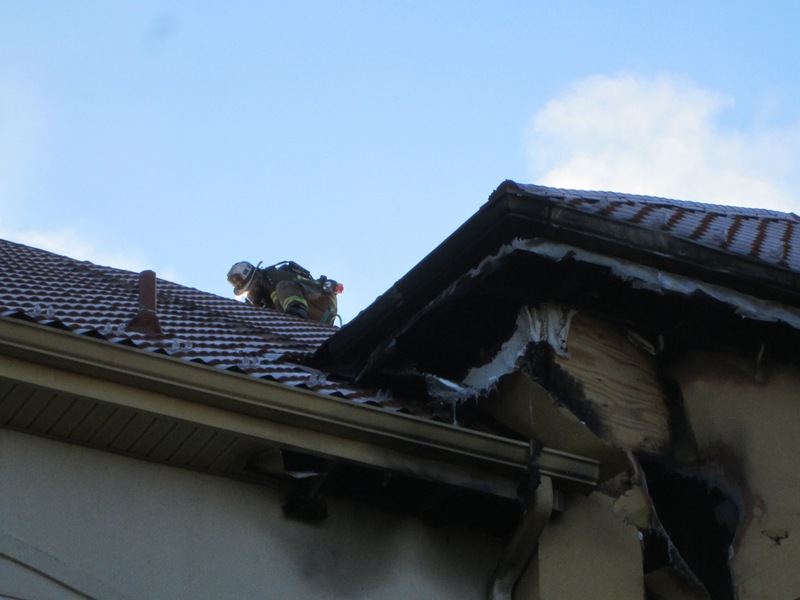 Once inside the building, crews encountered smoke and fire conditions on the third floor and attic space. The building was in full operation at the time of the incident with approximately twenty-five families; therefore, all rooms were immediately checked for occupants. 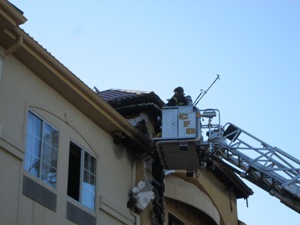 The fire progressed quickly, and the second alarm was requested at 8:49 a.m. to bring additional manpower to the scene. Additional units arrived within minutes of the request with a total of 48 personnel on scene. 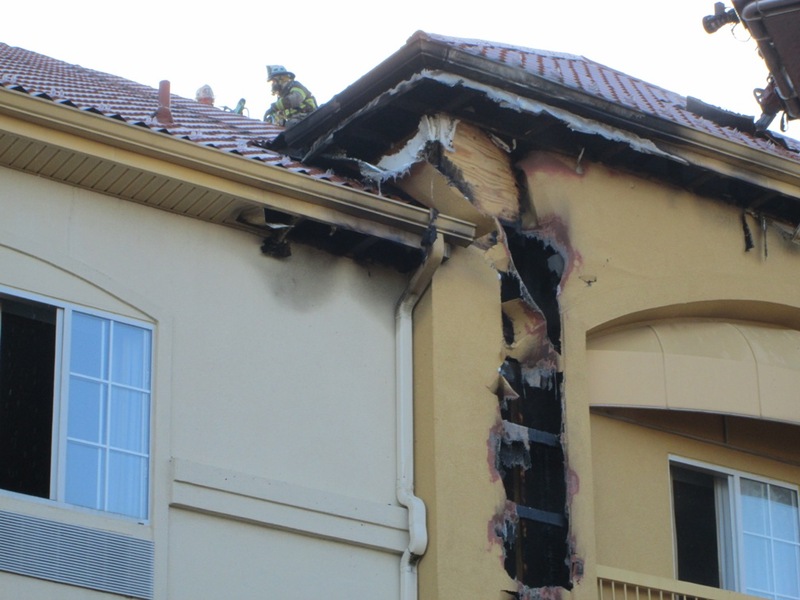 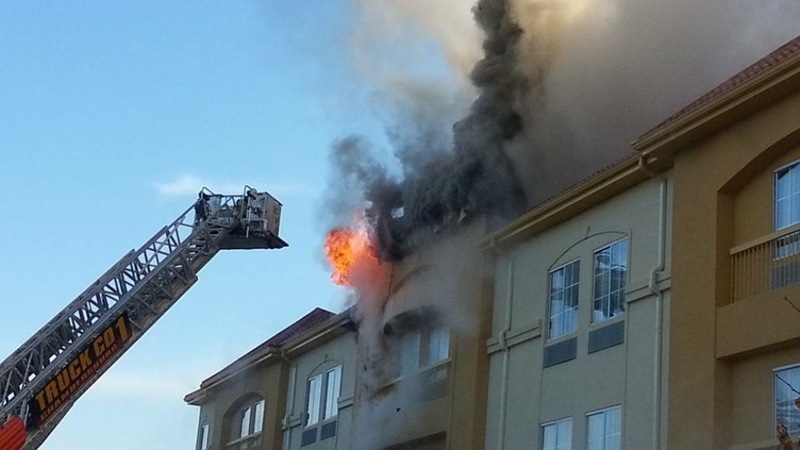 An operational fire sprinkler system was activated and kept most of the fire in check until crews were in place. The fire was marked under control at 10:25 a.m.